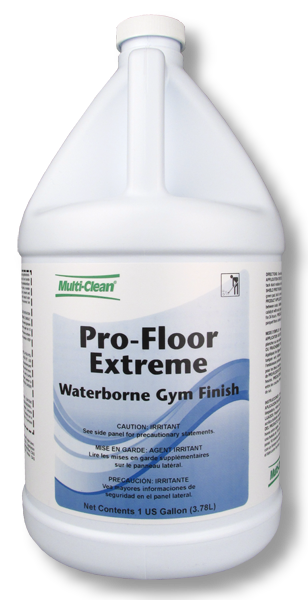 Pro-Floor Extreme, the ultimate in durable performance, is based upon waterborne chemistry. The catalyzed premium finish offers unbeatable resistance to scuffing, marking and scratching, ideal for high traffic floors. The floor that the Minnesota Lynx have played on was coated and protected with Pro-Floor Extreme from Multi-Clean! See the video here! SCREEN-FREE Wood Floor Recoating Sealer allows Pro-Floor Extreme Gym Floor Coating to bond to most wood sports floors without the need to “screen” existing coatings. Traditionally, screening an existing floor coating is required to ensure that the top coat will bond to the existing coating and will not peel or flake off over time. This screening step is labor intensive and expensive when factoring in labor and cost of screens. 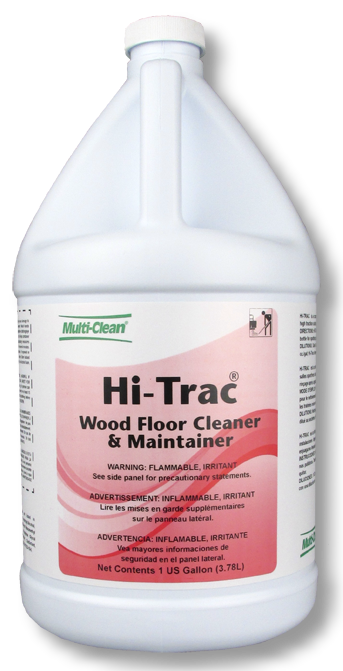 Use Multi-Clean HI-TRAC for regular maintenance of wood sports floors. HI-TRAC is concentrated and water dilutable. Sealed wood floors are deep cleaned and oily residues are removed without dulling the floors shine. Regular use of HI-TRAC maintains a high traction playing surface. Application by tack, damp mop or auto scrub. 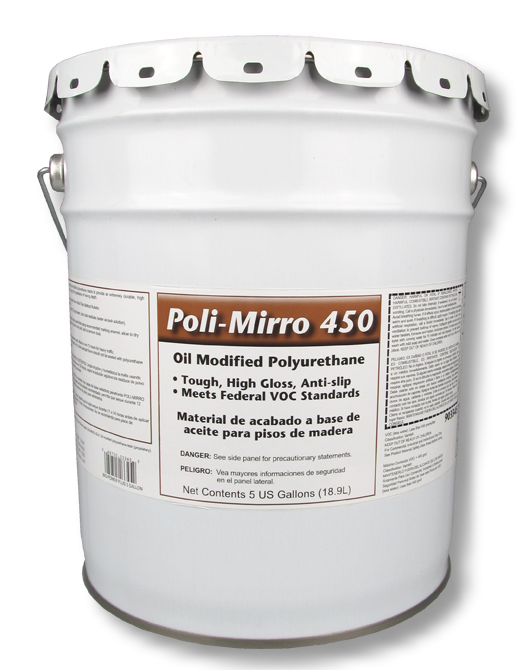 Poli-Mirro offers the proven performance of an oil modified polyurethane for wood gym floors. The product holds up to heavy use on wood athletic floors. The high sheen, mirror-like quality gives wood floors a stunning appearance that highlights the beauty of the wood.